The heartless murders recently carried out by terrorists in Paris and now Mali have naturally sparked global security concerns, from questions about the safety of landmark buildings, air travel and major public events to the potential risks of just being in the wrong neighborhood cafe at the wrong time. These episodes also has revived concerns about the threat of attacks against U.S. military installations, service members and their loved ones. Terrorists have had that community squarely in their crosshairs for years. Nearly a decade ago, for instance, six radicalized Islamic men conspired in a plot to bluntly "kill as many soldiers as possible" at Fort Dix in New Jersey. Fortunately, that plot was foiled broken up. But details of the investigation suggested just how targeted and vulnerable the nation's military facilities installations are. The terrorists had a map of Fort Dix, obtained by a Turkish native who delivered pizzas to soldiers there. The ring leaders members also had conducted surveillance of what is now Joint Base McGuire-Dix-Lakehurst, to the east in New Jersey, and Fort Monmouth to the north; Dover Air Force Base in Delaware; and the Coast Guard building in Philadelphia. The degree to which installation security — to say nothing of threats intelligence threats — has improved since then is hard to measure, given the sprawling range of U.S. military facilities, the mix of authorities responsible for their protection and the general lack of details about security measures. But clearly, more must be done to protect the nation's troops both on base and off. A fallen soldiers memorial for the 13 victims killed at Fort Hood, Texas, in 2009. Two years after the Fort Dix case, Army Maj. Nidal Hasan — a Muslim known to have contact with a suspected terrorist leader — shot 13 people to death and wounded 30 more at Fort Hood, Texas. In 2013, a mentally ill civilian contractor with a security clearance fatally shot 12 people and wounded four at the Washington Navy Yard in southeast D.C.
Last July, four Marines and a sailor were killed by a heavily armed man who targeted a recruiting station and a Navy Reserve center in Chattanooga, Tennessee. The shooter, killed in an exchange of gunfire, is believed to have been mentally ill with possible terrorist connections or sympathies. Making service members and loved ones all the more nervous is the fact that so much personal information lives online, including names and addresses; easily searchable data that could be mined to track them down. A July "Insider Threats" report by the Government Accountability Office offers little comfort as it reveals continuing gaps in effective safeguards for troops and family members on military installations, let alone when they are out in the civilian communities they call home. 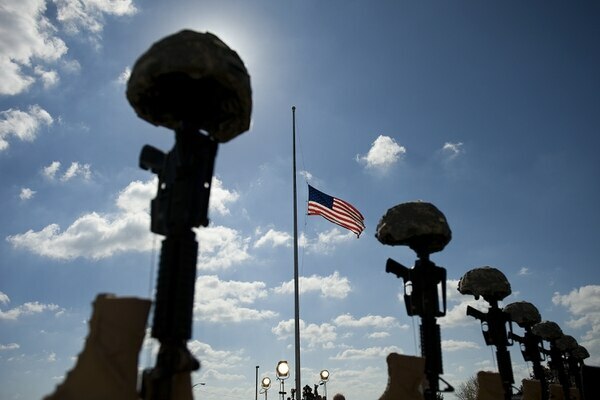 And based on a study of the Fort Hood and Navy Yard attacks, the report revealed a lack of coordination among military installations in sharing information and implementing recommendations to protect against acts of terrorism. It tellingly noted that the Defense Department has no policy even for when it's appropriate to report to base security an individual carrying a weapon on an installation, "especially in a work environment." The Pentagon has vowed to protect its most vulnerable troops and facilities in the wake of July's deadly shooting in Chattanooga. But lawmakers and military leaders are at odds over how best to do that. 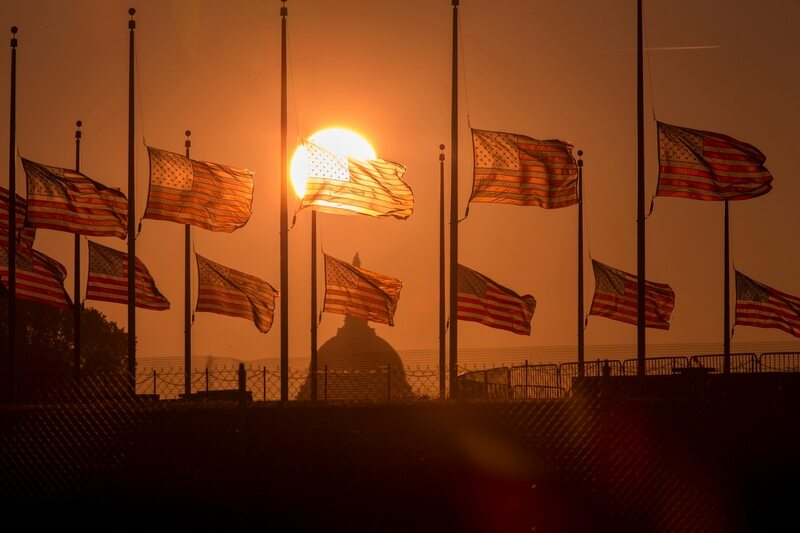 Shortly after the Chattanooga murders, Defense Secretary Ash Carter authorized select additional personnel to carry firearms at smaller facilities, and also ordered the services to implement any security measures they consider an immediate need, with an April deadline set for implementation. That will help, but stops far short of the truly critical need: A coordinated, force-wide campaign to heighten security at all installations, large and small. The July GAO report noted that Fort Hood officials drew up 79 recommendations to protect against insider threats, and they also recommended that DoD develop policies and procedures to integrate disparate efforts to protect facilities and people. That recommendation should become an order from Carter to each service's senior leadership. The abilities of modern terrorists to identify and hit targets are becoming increasingly sophisticated. The business of better protecting our troops and family members from attack on the home front, meanwhile, continues to be a piecemeal enterprise. And each day that such inadequate practices are allowed to continue is another day that negligently exposes the military community to potential attack. All possible measures, regardless of cost, must be undertaken to protect our troops and family members where they work, play and live. That's step one in protecting the nation. 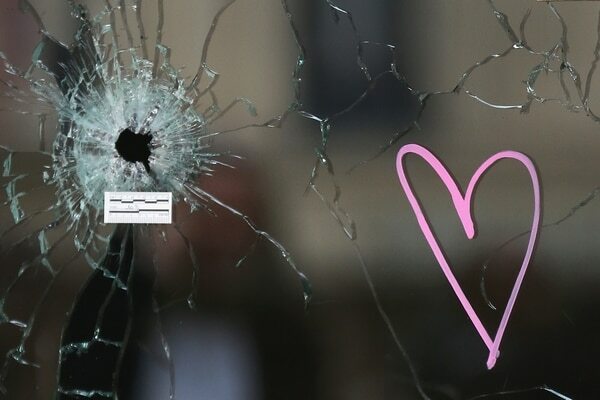 A heart adorns the bullet damaged window of the Casa Nostra Cafe in Paris.